Bicyclist: The wind in my hair... It's great to be alive! Bicyclist: Another log!! PULL UP, PULL UP! Bicyclist: *Whew* That was close! 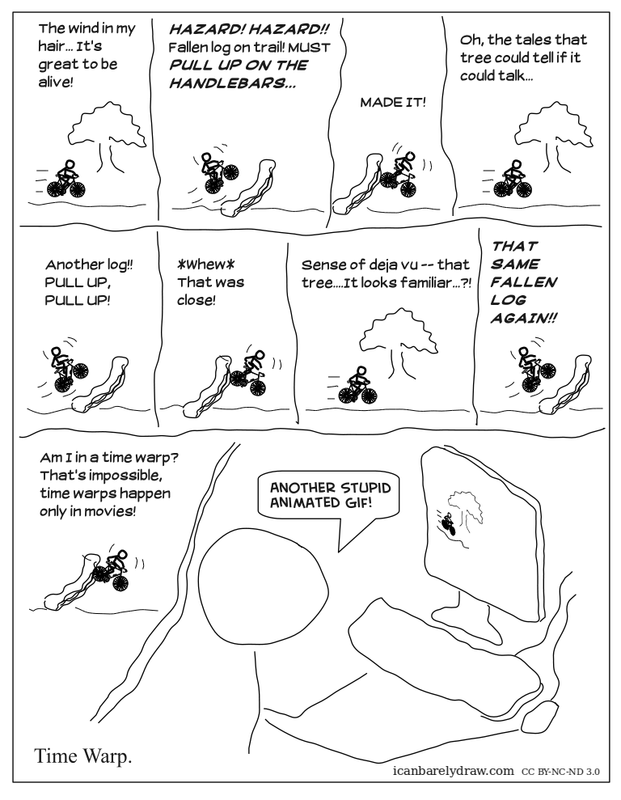 Bicyclist: Sense of deja vu -- that tree....It looks familiar...?! Bicyclist: THAT SAME FALLEN LOG AGAIN!! Bicyclist: Am I in a time warp? That's impossible, time warps happen only in movies! Computer user: Another stupid animated gif! Sep 6, 11 Time Warp, or Suspended Universe?